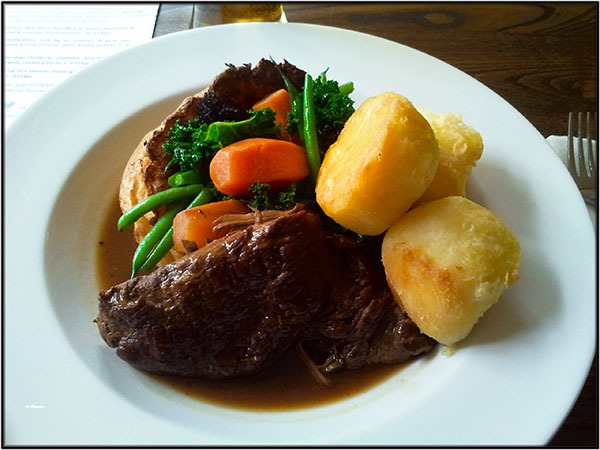 After reading the reviews of the food at The Moorhen pub beside our mooring Jan decided we should go to the Dusty Miller for our weekly Sunday lunch. The Moorhen appears to cater for families with ankle biters and serves bog standard quasi fast food (eg, burger and chips). A quarter mile walk away from the river up Burnt Mill Lane took us to the Dusty Miller. 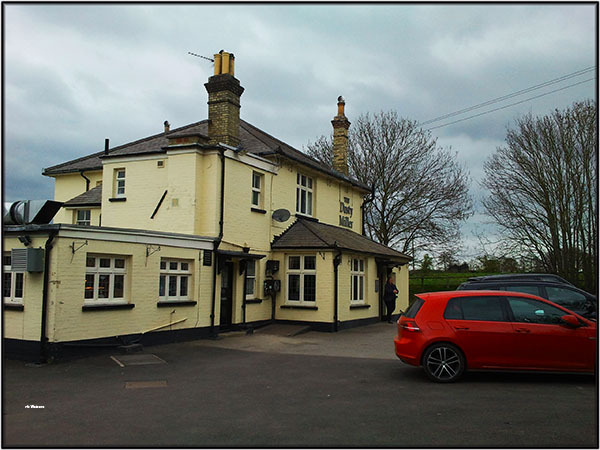 It’s a more traditional country pub which has received good food reviews. Both of us opted for the Sunday roast beef. The serving was generous and the food very tasty. After a brief rest back on Waiouru I decided to go for another local walk. The plan was to include some of tomorrow’s cruising route to get an idea of the potential mooring situation. 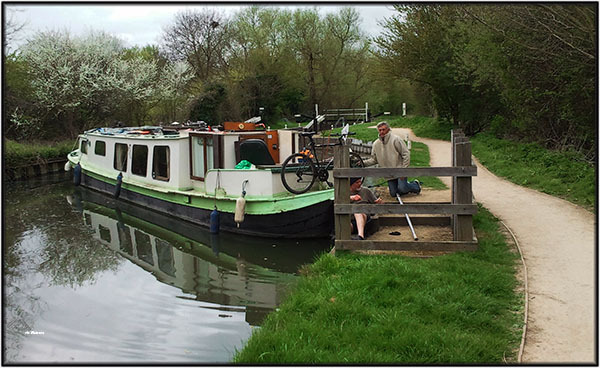 At Latton Lock a boat was moored across the river. It was apparent something had fouled the propeller and the two man crew were attempting to clear the obstruction by getting the stern against a low section of the bank. The major problem was the boat had no weed hatch which meant having to reach the propeller shaft from the stern. It seemed impolite not to offer advice based on my vast boating experience . To my surprise both suggestions were readily accepted and they eventually cleared the obstacle. 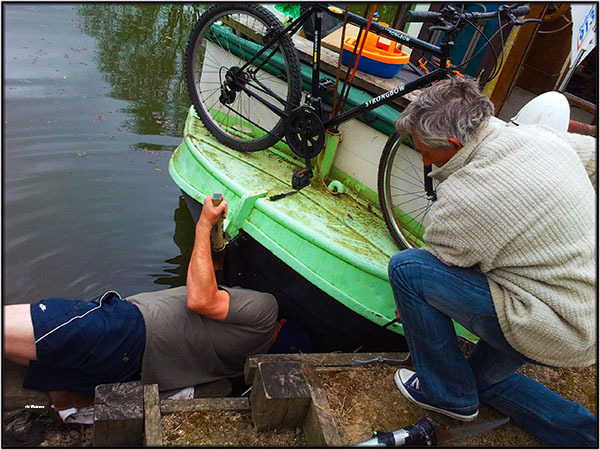 The next problem was when they discovered the boat didn’t have reverse. This proved to be a major issue because they discovered it when powering into the lock. At that point I made a strategic withdrawal. Shortly thereafter I notice two more of those concrete plinths in a field beside the river. 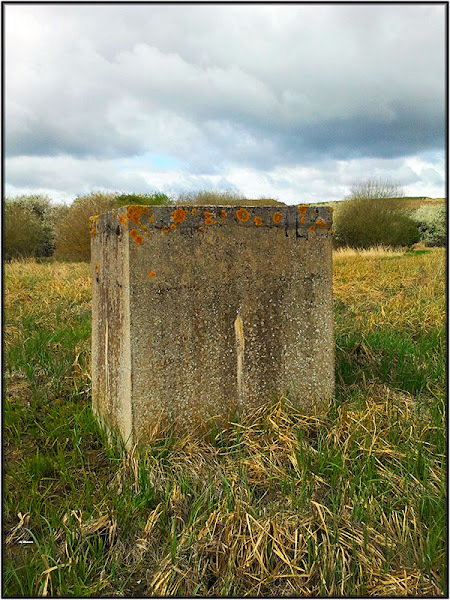 Peter Berry (nb Kelly-Louise) had left a comment to my earlier post about these plinths suggesting they might be foundations for a WW2 airfield approach navigation system. That seemed logical, but when I drew a line between them in Google Earth it wasn’t straight. Today I was able to get close to one. 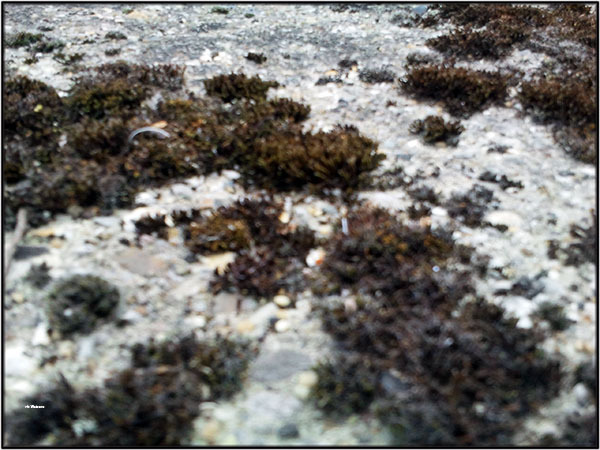 They are approximately 3ft square and stand 6ft above ground level. The ground was too boggy to climb the plinth so I held the phone camera over my head and took a photo of the top. The top is covered in mould which makes it difficult to see whether there are anchor points for a structure (eg tower) which had been removed. Just to compound the mystery there was a second, smaller plinth nearby. This one had an iron grate on top and I could hear water running. 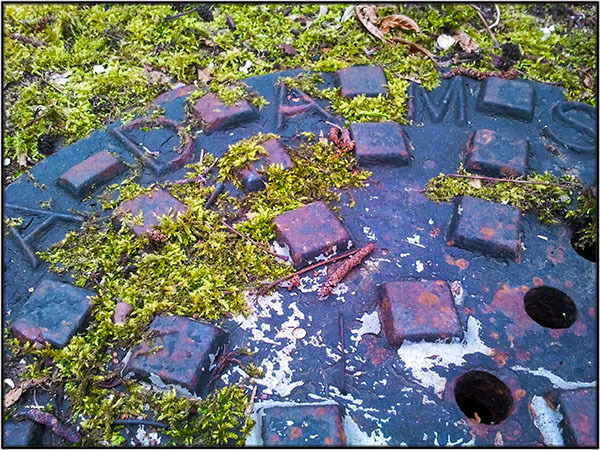 The name cast into the plate was “Adams York”. Smaller concrete plinth in the foreground. I suspect these are two separate systems. The smaller plinths are aligned in a different direct and have the grate with holes. My guess is they are for stormwater. The other plinths are higher and don’t have grate on top. When looking at them in Google Earth the ground between the plinths appears to have been disturbed at some stage. Perhaps this is a pipeline? 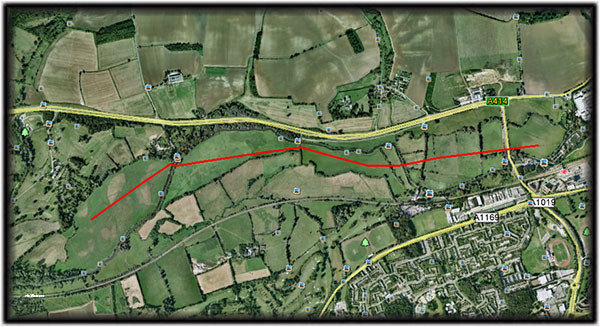 "The Outer London Ring "
"The ring used a mixture of natural rivers and artificial ditches up to 20 feet (6 m) wide and 12 feet (4 m) deep, encircling London completely." 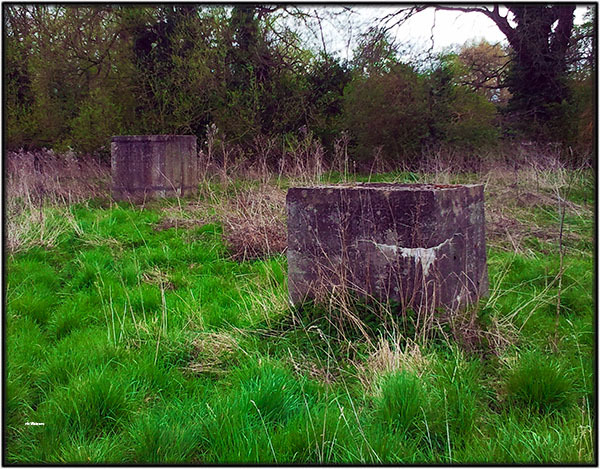 These are not pillboxes and they are too far apart to be an anti-tank obstacle!